HP Tops Kidney Walk Fundraising in 2014! 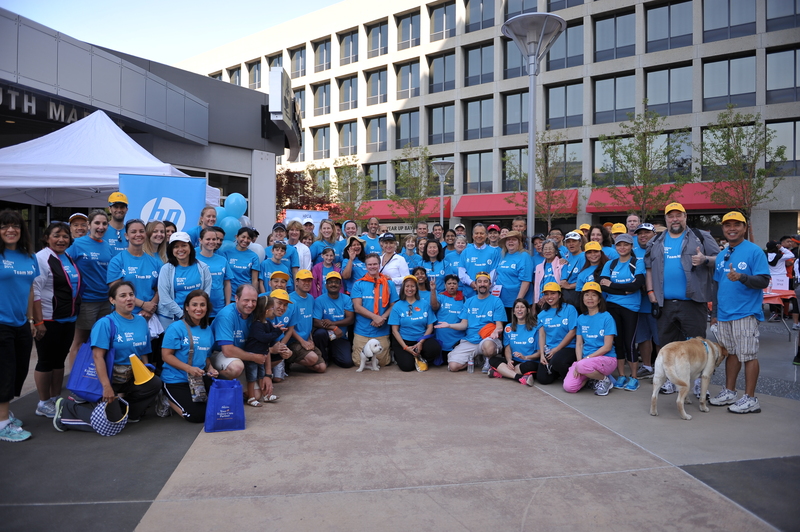 Hewlett-Packard (HP) employees have redefined what it means to make a difference by becoming the top corporate Kidney Walk team for the second consecutive year. In May and June, over 200 HP staff and family members registered for the Silicon Valley and San Francisco Kidney Walks and together raised more than $52,000 to support the awareness, prevention and treatment of kidney disease. Their hard work fighting kidney disease in the Bay Area has set the bar for corporate walk teams across the nation. For the second year in a row, Team 3Par, a division within HP led by Dan Dias and Dolores Montano, led the pack in fundraising. 3Par successfully raised over $22,000. Not only did they raise a huge amount of money but they showed up in force with 68 walkers. Independent of employee efforts, HP also contributed $10,000 as a Platinum Sponsor for the Silicon Valley Kidney Walk. Last year, HP took up the kidney disease cause with gusto, surpassing the previous $35,000 corporate walk fundraising record, while HP CEO Meg Whitman and HP Board Member Ann Livermore were honored as the Bay Area Corporate Walk Chairs. Livermore has a personal connection to kidney disease — she received a kidney transplant in 2005 and has been an advocate for organ donation and kidney disease awareness. In California alone, more than 55,000 people receive dialysis treatment for kidney failure and 18,000 are on the waiting list for a life-saving kidney transplant. It is estimated that 1 in 9 Californians have kidney disease, and most don’t know it because symptoms usually appear late in the disease’s progression. 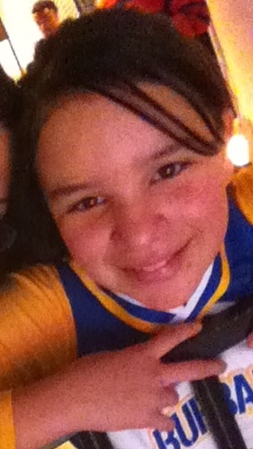 When eleven-year-old Zayda starting getting sick in 2011, her mother knew it wasn’t a normal illness. “I’ve had three kids and I’ve seen a lot of symptoms, but this was different,” said Margarita, Zayda’s mother. After insisting on numerous follow-up tests, Zayda was eventually diagnosed with ANCA Vasculitis, a condition where her antibodies attacked her kidneys. She had only 14% kidney function left. Doctors were telling Margarita that she should prepare for a transplant. Zayda’s kidney function improved after numerous therapies and medications, and although a transplant is still likely in the future, she is able to do cheerleading and play outside like other youngsters. Zayda and her family are also able to spread the kidney disease message, whether at school or at the National Kidney Foundation’s Kidney Walk. This is the third year Zayda, her siblings, mother and friends are walking. “We’re supporting everyone with kidney disease, and teaching people about kidney disease,” Zayda said. This year, in advance of the Walk, Margarita set up a Facebook page, Going Green for Zayda, where over 150 people wore green to support Zayda in her battle against kidney disease. The gesture brought Zayda to the point of tears. For her mother, the ordeal that Zayda has gone through, and the tough road ahead, is still a story of hope, one she hopes other parents will learn from.